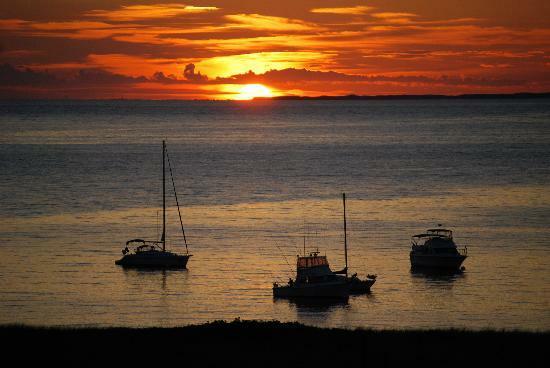 Island History - The Island of Martha's Vineyard is a jewel of many facets. It is the largest and, thought to be, one of the most picturesque islands in New England. The Vineyard is shaped like an irregular triangle, approximately twenty miles in length and nine and a half miles at its widest point. Located just a few miles off the southeast coast of Massachusetts, the island is easily accessible by airplane or ferry. It is comprised of six towns, three of which are referred to as "Up-Island" (Aquinnah, Chilmark & West Tisbury), and three of which are referred to as "Down-Island" (Edgartown, Oak Bluffs & Vineyard Haven, which is also known as Tisbury). The Vineyard still offers a great deal of open space and rolling fields, as well as ponds and marshes, which are now protected by conservation restrictions. We are fortunate to have retained much of the charm and character that the first inhabitants found so appealing, though it's a fragile commodity. The Wampanoag Indians were the original inhabitants of Noepe, now known as Martha's Vineyard, and date back about seven to ten thousand years ago. There were numerous sachemships on the island, but the Aquinnah Wampanoags are the only ones who continue to live here today. To trace the first white man's discovery of Martha's Vineyard you have to consider a couple of different theories. One of the popular, but hard to prove, theories deals with the Norsemen. In Icelandic lore, there are references made to the discovery and exploration of America, including the discovery of a land referred to as Vinland (Wineland), which was named because of its abundance of grapes. It is believed that Leif Ericsson, a mariner in the eleventh century, was the first to sail this hemisphere, and it is quite possible that he was the first white man to discover this as yet unspoiled island. The most commonly told story begins when Bartholomew Gosnold, an English mariner, set sail from Falmouth, England in 1602, to explore the shores of the new world. He sailed around Cape Cod and up the southern shores of Nantucket and Martha's Vineyard, mistaking them for the mainland. Gosnold landed on the larger island of Martha's Vineyard after exploring and naming the Elizabeth Islands. 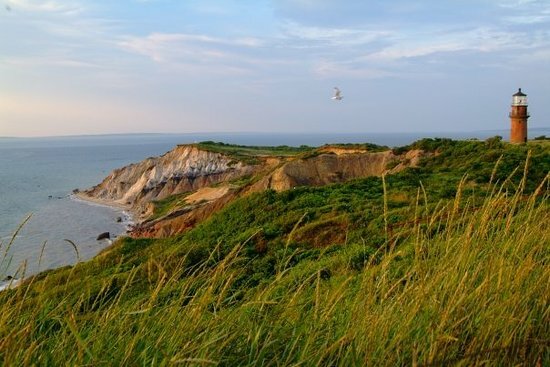 Although the Wampanoags called the island "Noepe", Gosnold dubbed it "Martha's Vineyard", named for his daughter Martha and the presence of wild grapes on its shores. Upon exploration of the island, Gosnold discovered "Lakes, ponds and streams of the purest water, bushes bearing edible berries, tree growth from which hung fruit filled vines, while birds and animals were everywhere." On October 13, 1641, Thomas Mayhew purchased Martha's Vineyard, Nantucket and the Elizabeth Islands from Sir Ferdynando Gorges and the Earl of Stirling. Under Mayhew's orders to colonize the island, the English first settled on the east end of Martha's Vineyard in 1642. 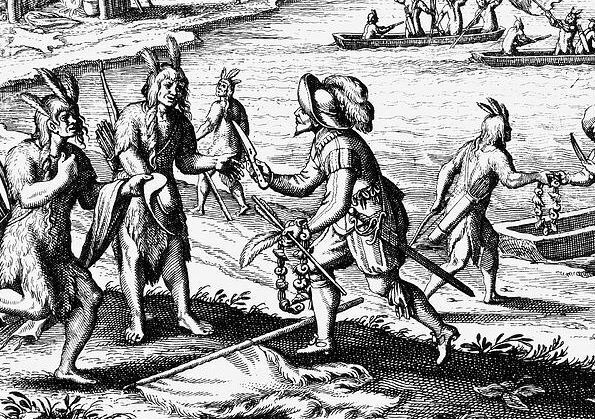 During the first ten years of the settlement there were approximately three thousand Indians on the island and not more than three dozen whites. The first semblance of a government of record was in 1653 when Martha's Vineyard became a colony of New York. Today Dukes County is comprised of the six towns on Martha's Vineyard and Gosnold (Cuttyhunk and the Elizabeth Islands). Each town has its own government, police force and fire department. The town has many scenic spots and points of interest. To this day Vineyard Haven is the center of year-round trade, as it is the only port on the Vineyard used by the Steamship Authority in the off-season. Martha's Vineyard is a beautiful and diverse island. It is an exclusive summer resort community for many who vacation here, and for the rest of us it's home. We hope you'll come visit, enjoy its beauty and help preserve it for future generations. "Martha's Vineyard is an island-separate, but never equaled." Farm Neck Golf Club - 18-hole Bent grass course wrapped to the Sengekontacket Pond shoreline. Built in 1979. Considered a landscaping jewel by golfing enthusiasts. Designed by Geoffrey Cornish & Bill Robinson. Enjoy a debate of which is the "signature" hole -- #3,4,7,8,12, 14, and 17 are the field -- and that's a lot of contenders for one course! Weekday green fees for non-members are seasonal. Call for more information. Vineyard Golf Club - The Vineyard Golf Club sits on 235 preserved acres on the island of Martha’s Vineyard and is located just two miles outside of historic Edgartown village and close to the beautiful rural village of West Tisbury.The Vineyard Golf Club offers world class golf, exceptional dining and the unique opportunity to be a part of a very special club.While we currently don’t have any memberships available, we do maintain a waitlist and are currently accepting applications for the limited number of memberships that become available from time-to-time through attrition. Edgartown Golf Club - The Edgartown Golf Club, Founded in 1926, is a private golf club located in Edgartown, Massachusetts on the island of Martha’s Vineyard. Known for breathtaking views of the Vineyard Sound and its historic and charming club house, the Edgartown Golf Club is open to its members and their guests year round, weather permitting. During the summer season it hosts a junior golf program as well as many annual benefit golf tournaments that are open to all. Felix Neck Wildlife Sanctuary - Explore Felix Neck’s two miles of trails, which provide spectacular views of the surrounding woodlands, meadows, pond, salt marsh, and barrier beach. In the summer, enjoy such sights as nesting pairs of ospreys and a tree swallow colony. From the observation building, look for wood ducks and other waterfowl in the pond during the fall and winter. In the spring, barn owls can also be seen nesting in the barn loft. Flying Horses Carousel - Located on Oak Bluffs Avenue in the heart of Oak Bluffs, this treasured carousel has been enjoyed by Vineyarders and visitors for more than a century. Acquired by the Preservation Trust in 1986, the Flying Horses Carousel is the nation's oldest operating platform carousel and a National Historic Landmark. It is one of the two known carousels built by Charles W.F. Dare in 1876. In 1884, the Flying Horses were brought to Martha's Vineyard. Polly Hill Arboretum - Welcome to The Polly Hill Arboretum, a Martha's Vineyard horticultural and botanical landmark, developed over the past forty years by the legendary horticulturist, Polly Hill. It is here that Polly brought twenty acres under cultivation while preserving forty additional acres as native woodland. Crisscrossed by old stone walls surrounding open, wildflower-filled meadows and characterized by vernacular Vineyard architecture, the Arboretum is preserved as a not-for-profit institution established in 1996 and is devoted to the cultivation and study of plants. Gay Head Cliffs and Beach - Off-limits. The Gay Head Cliffs are a National Landmark and are seriously endangered by climbing on the cliffs and removal of clay (both prohibited by law). Gay Head Public Beach (Moshup Beach) - $15 parking fee in summer. Lobsterville Beach - Open to all, but parking is prohibited on Lobsterville Road. Philbin Beach - Aquinnah residents only. Eastville Beach - Open to all. Oak Bluffs Town Beach - Open to all. Joseph Sylvia State Beach - Open to all. Pathway to the Jetty Beach (East Chop) - Open to all. Lucy Vincent Beach - Chilmark residents only. Menemsha Public Beach - Open to all. 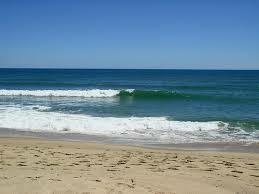 Squibnocket Beach - Chilmark residents only. East Beach (Cape Pogue Wildlife Refuge and Wasque Reservation Located on Chappaquiddick Island) - Open to all; however, subject to regulations of The Trustees of Reservations. Fuller Street Beach - Open to all. Katama Beach (South Beach) - Open to all. Vehicles with permits allowed on marked trails. Lighthouse Beach - Open to all. Lake Tashmoo Town Beach - Open to all. Owen Park Beach - Open to all. Tisbury Town Beach - Open to all. Lambert's Cove Beach - West Tisbury residents only. Long Point Wildlife Refuge Beach - Open to all: however subject to regulations & fee of the Trustees of Reservation. Parking fee in summer. Beach passes and memberships to The Trustees available, call 508-693-7392. African-American Heritage Trail - Trace African-American history on the Vineyard from before the American Revolution through the 20th century. Martha's Vineyard Camp Meeting Association Tabernacle - The Tabernacle is the physical and spiritual center of the Campground. It was built in 1879 by John W. Hoyt of Springfield, Massachusetts. Church services are held weekly in the Tabernacle during the months of July and August, and a variety of cultural events are held there each summer. Martha's Vineyard Chamber Music Society - Our concerts on Monday evenings are at the Old Whaling Church in Edgartown. Tuesday evening concerts are at the Chilmark Community Center in Chilmark. All concerts begin at 8:00pm with a pre-concert lecture by the artists at 7:30pm . Martha's Vineyard Historical Society - A non-profit organization open to public membership, the Society strives to achieve a broad awareness, understanding and appreciation of our Island's unique cultural, physical and historical characteristics. Martha's Vineyard Preservation Trust - Since 1975 the Preservation Trust has acquired, preserved and managed the endangered landmarks of Martha’s Vineyard, restoring living institutions to their rightful place in Island life. The Trust is a private, not-for-profit organization supported by contributions from the public and through the management of its historic properties. Beach Plum - Nestled atop Menemsha harbor lies the Beach Plum Inn Restaurant on the island of Martha's Vineyard. With panoramic views from every table, patrons gaze at the passing ships, cresting waves and iridescent setting sun. The Outermost Inn - Our kitchen serves spectacular food in an intimate dining room or on the porch overlooking the property. Glorious herb and vegetable gardens supply the restaurant. State Road Restaurant - Well respected dining in West Tisbury. Always with excellent reviews. State Road has a feel of an old-time inn, and the founders have imbued the venue with panache and a perfect pitch for Island life and culture, down to the details. Martha's Vineyard Chamber of Commerce - Come to Martha's Vineyard early and enjoy the slow, calm bloom of our pre-summer weeks. Stay through the warm autumn for the blue and gold of our Indian Summer; return to bask in the serenity of an Island winter. Steamship Authority - The Woods Hole, Martha's Vineyard & Nantucket Steamship Authority provides the only year-round passenger and vehicle ferry service to the islands of Martha's Vineyard and Nantucket. Service is provided from Woods Hole to Vineyard Haven, and Hyannis to Nantucket. Seasonal service is also provided from Woods Hole to Oak Bluffs on Martha's Vineyard. Vineyard Gazette - Martha's Vineyard's newspaper of record for 155 years. News, calendar, travel, weather, classifieds, tide information, and more! The Martha's Vineyard Times - Islanders read the Times, it's free and packed with local news, coupons, and more.